The Global Product Stewardship Council and its members invite you to our latest thought leadership forum featuring Adam Minter, the author of best-selling book Junkyard Planet. Adam is a third-generation scrap dealer turned journalist who’s spent over a decade living in Asia, examining recycling practices first-hand and sharing his insights. Discussions will be facilitated by GlobalPSC CEO Russ Martin. How is economic growth in China driving demand for recycled materials? How does the global trade in recyclable materials affect recycling in countries like the US and Australia? How can we ensure responsible recycling practices, particularly for e-waste and plastics? How do changing economic conditions both help and hurt recycling and reuse, especially for electronics? What role will the informal sector play in the future of recycling? What are the implications of global material flows for product stewardship? What are incentives and drivers for incorporating Design for Environment and the circular economy in product stewardship? Registrations are $275 (GST-incl) for non-members of the GlobalPSC and $125 (GST-incl) for GlobalPSC members. Registration and payment information is available here. A light lunch will be provided for registered attendees. 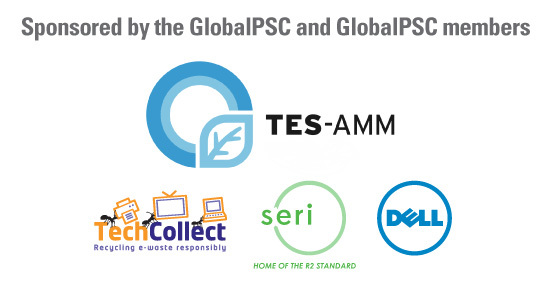 Proudly sponsored by TES-AMM, Dell, TechCollect and SERI. 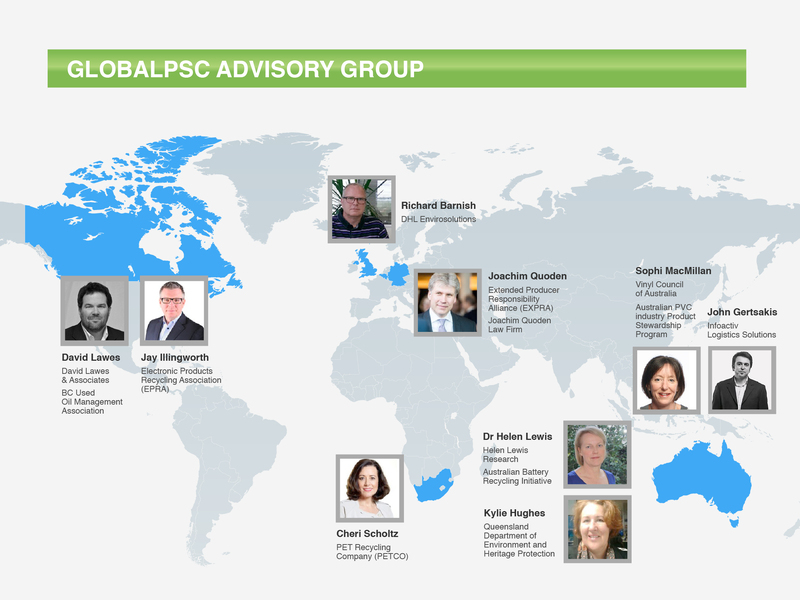 Brief profiles for GlobalPSC Advisory Group members are provided here. The GlobalPSC will regularly canvass information and views from the Advisory Group, as we did recently in preparing submissions to governments on proposed changes to product stewardship and extended producer responsibility frameworks in Nova Scotia and New Zealand. Neither submission has been made publicly available yet, but both are available in the members-only Knowledge Base under the Frameworks & Harmonisation tab. At these events, we will be promoting the involvement of GlobalPSC members and our activities.